Amazing the friends you meet when you share a hatred. Captured on camera in Croydon in July 2013 when they joined a march against "terrorists" and Muslims. We don't know the name of the young man in the Kahanist tee shirt. But the older man with him is Holocaust denier Richard Edmonds. Never again? He said it never happened the first time. It's amazing whom you can meet when you associate with the forces of hatred. 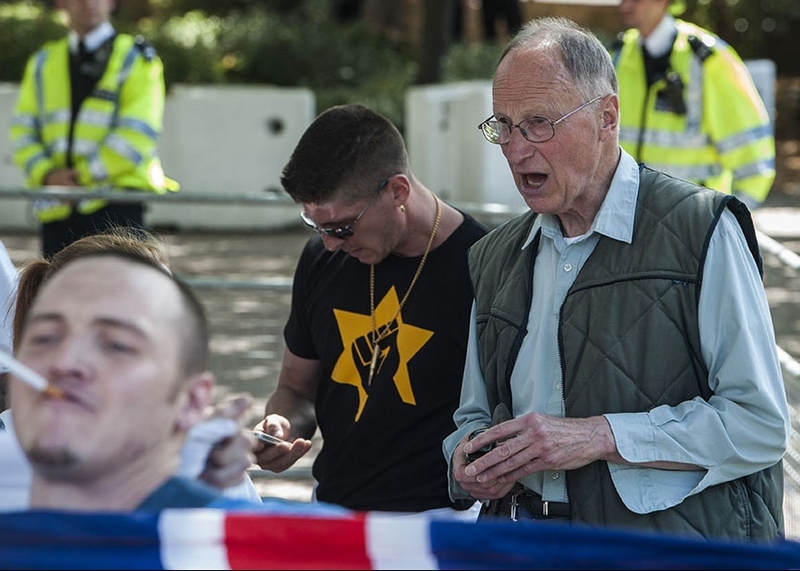 Not long ago normally ebullient Zionist Federation chairman Jonathan Hoffman was embarassed by a photograph that appeared to show him cavorting with supporters of the English Defence League. They were on a counter demonstration against boycott campaigners outside Israeli settlement firm Ahava products. The young man in our photograph above showed no signs of embarassment. He seemed quite eager to be photographed in his tee shirt indicating support for the Jewish Defence League, founded by the late Rabbi Meir Kahane, or its Israeli product, the Kach movement. The occasion was a march in Croydon, on July 26, 2013, organised by the self-styled English Volunteer Force and an EDL-offshoot called the South East Alliance. They were supposed to be marching against "Muslim terrorism", but for some reason they marched on Lunar House, the Home Office immigration office and HQ of the UK Border Agency. Many of the staff there are from ethnic minorities. The march was met by an anti-racist counter-demonstration supported by the PCS trade union and the Croydon trades union council. 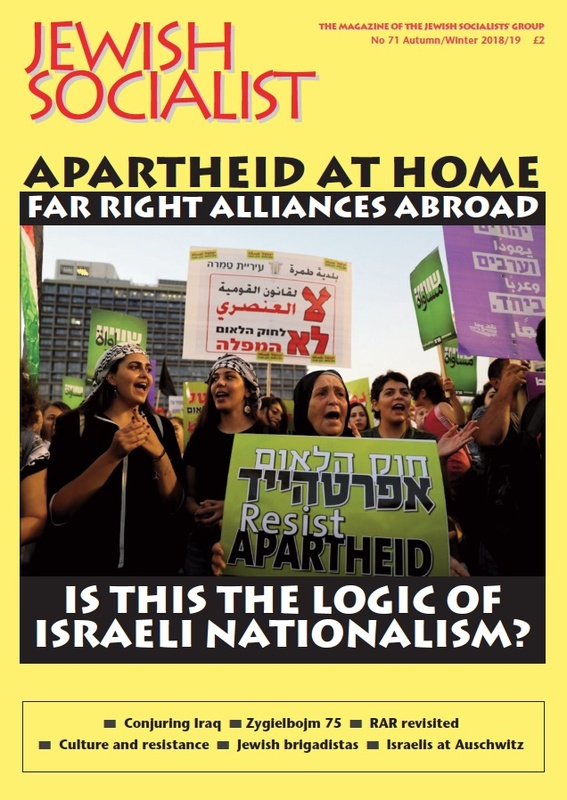 We don't know whether it bothered the "anti-terrorist" demonstrators that the man who proudly joined them in his tee shirt was supporting JDL and Kach, both branded "terrorist" organisations by the FBI and the Israeli government (not that the latter has done much about it). But after all the young Kahanist does not seem to have minded overmuch that the older gentleman he accompanied was Richard Edmonds, a longtime leading figure in the British National Party (BNP) and former editor of 'Holocaust News', a publication which treated the Holocaust as a cruel "hoax" invented by the you-know-who s.
Who says marches like this do not promote tolerance. Among different racists.